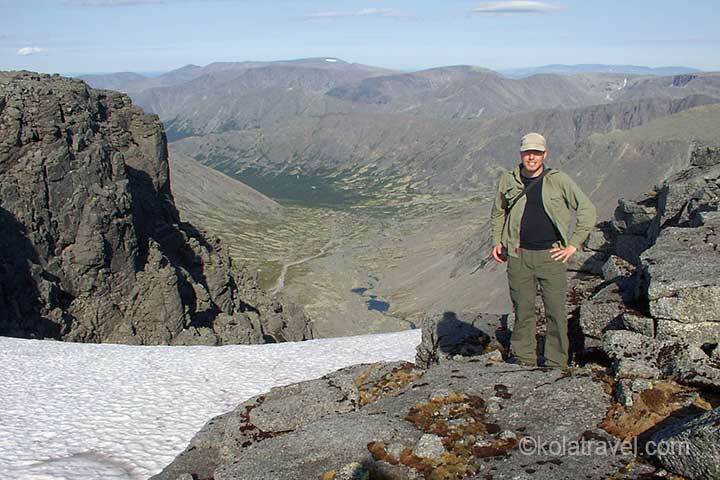 Polar hiking tours in Lovozero and Khibiny Tundra 13 days pure nature. Hiking in Khibiny Tundra guided hiking tour! Kola Travel hiking tours Tent camp. 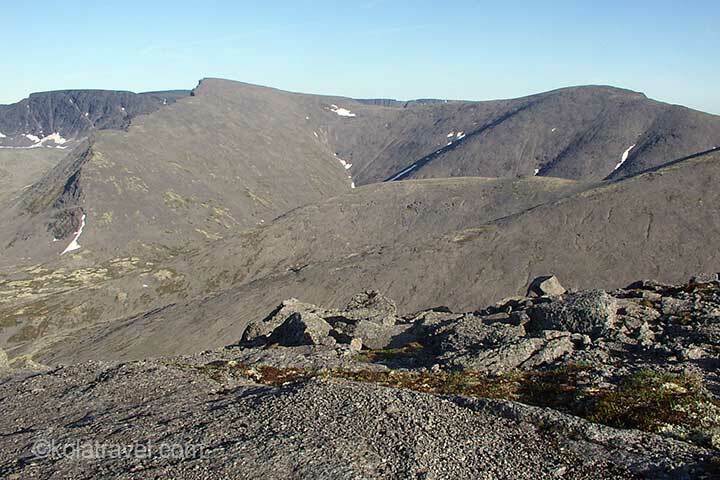 The Khibiny and Lovozero Tundras are the highest tundra's of the Kola Peninsula with summits height up to 1200 m. They are known for the impressing landscapes of mountain tundras. 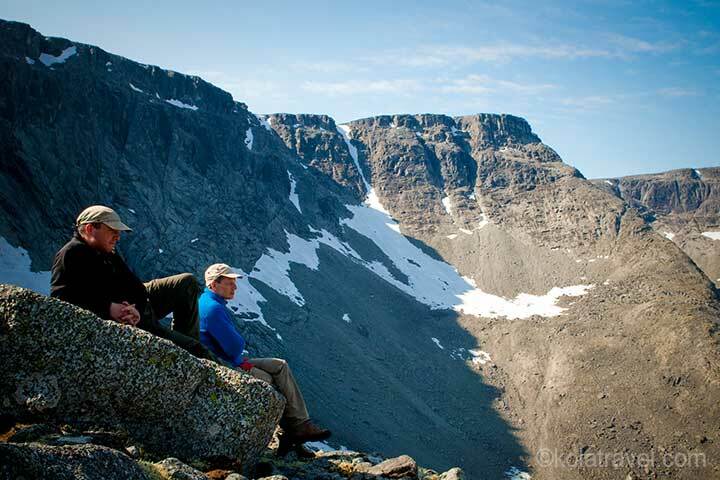 We selected two challenging backpack trekkings in these magnificent tundra areas. 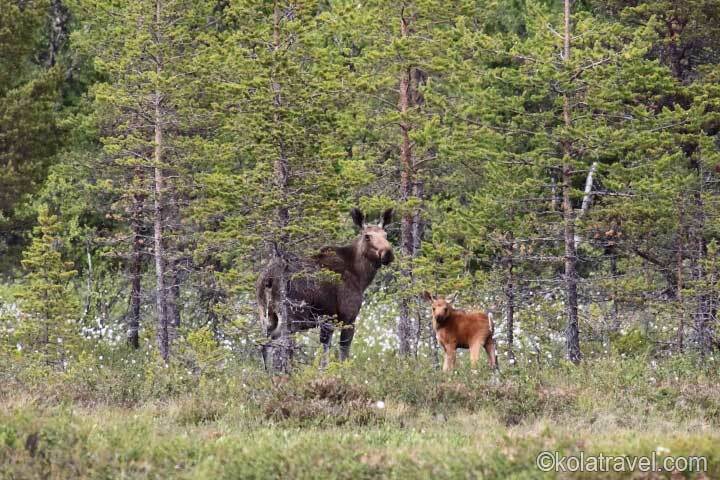 With the 6 day backpack trekking in Khibiny Tundra you got a good impression about the different landscapes Khibiny offers. 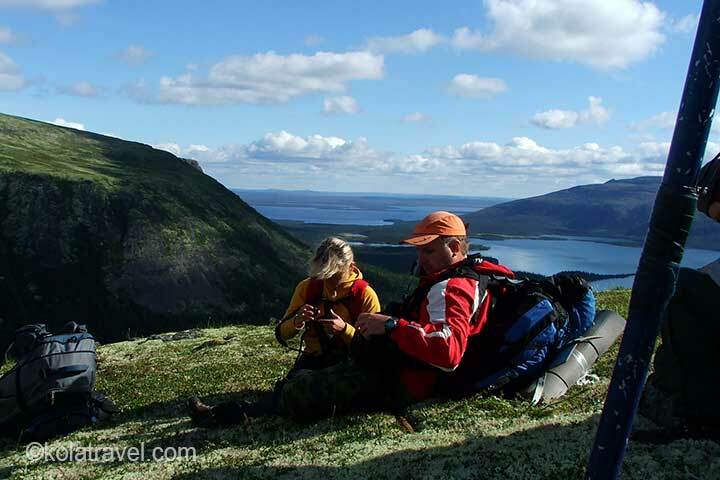 The 3 days backpack trekking in Lovozero Tundra will bring you to Seid Ozero (Saint Lake) in the heart of the Tundra. Its a green value with a huge lake and steep walls of the mountain massive. On one of the walls an enormous dancing Shaman is waiting for you. 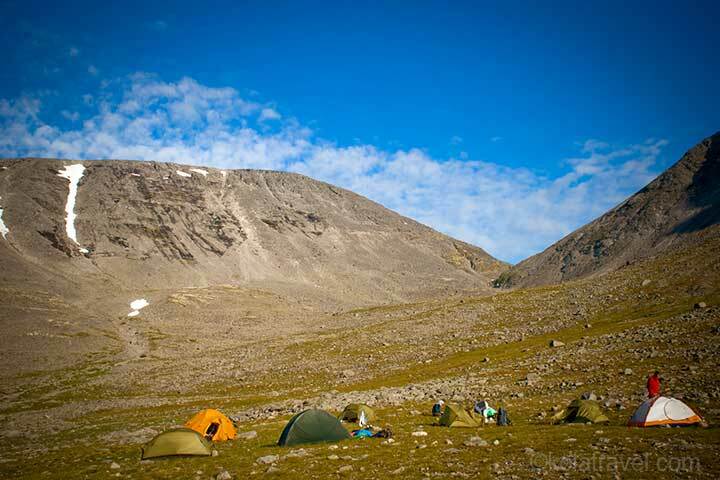 During the backpack trekking you will spend the nights in tents. 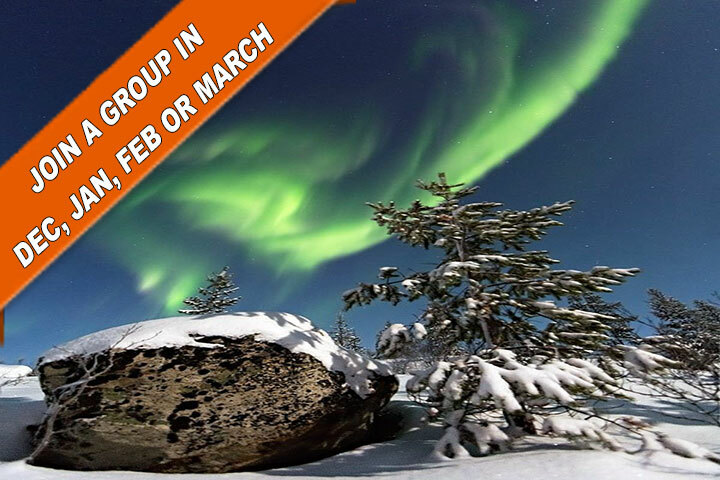 Before, between and after the backpack trekkings you will stay in hotels and you will get acquainted with the Russian daily live in Murmansk, Monchegorsk, Lovozero, the capital of indigenous people of Kola Peninsula - the Saami with many excursions. Day 1, Saturday: Arrive in Murmansk. Meet up at airport by a driver from the hotel . Transfer to hotel. Check-in. Overnight at the hotel. Day 2, Sunday: Breakfast at the hotel. 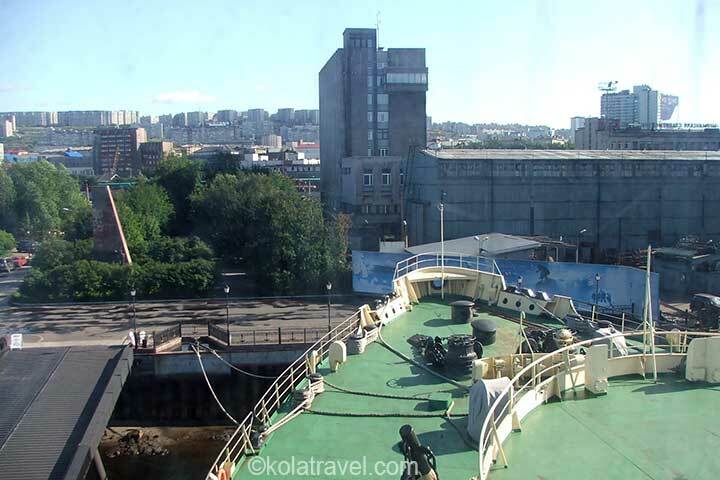 Guided city tour in Murmansk including a harbour, the 'Alyosha' memorial and Historical Museum. Lunch. Transfer to Monchegorsk; check-in at a hotel. Guide will come to the hotel in the evening to meet you and check equipment. Dinner in a restaurant of the hotel. Overnight at the hotel. Day 3, Monday: Breakfast at the hotel. Travel by motor-boat down Imandra Lake to Nifeliny Peski Station (10 km). From there hike on the forest path as far as Aku-Aku Ravine, and make camp. Explore Aku-Aku Ravine. The Ravine's entrance is guided by tall pine-trees and the walls look like an old broken castle. There is a picturesque lake among the cliffs, and numerous streams - one with a small waterfall, and lonely standing rocks like trolls turned into stones. 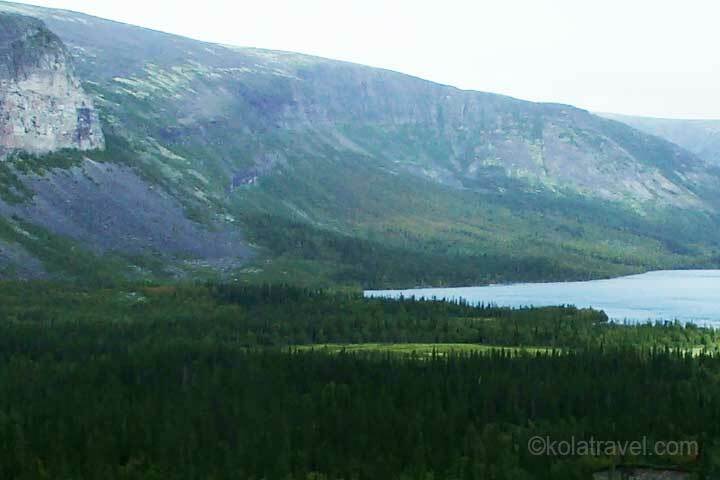 We climb the west slope and watch the wonderful view of the Imandra Lake and the faraway tundra behind it. Distance of hike: 8 km. 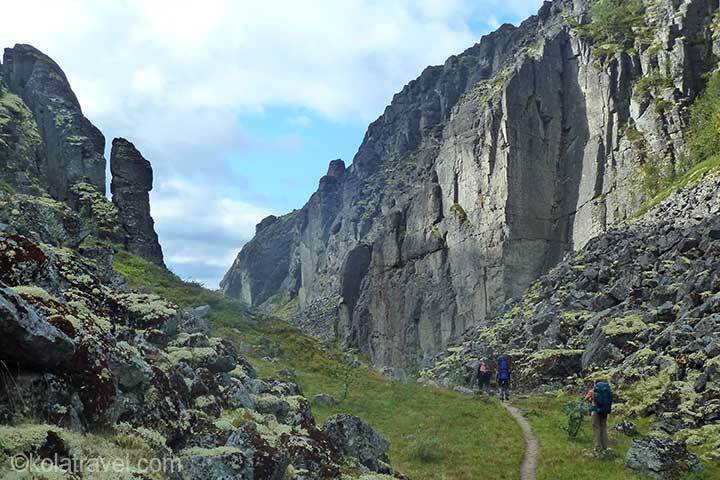 Day 4, Tuesday: Follow the Ravine Aku-Aku up to the Yumyekorr Pass, a narrow pass squeezed between two rock cliffs. Yumyekorr means "Ravine of Dead Men". 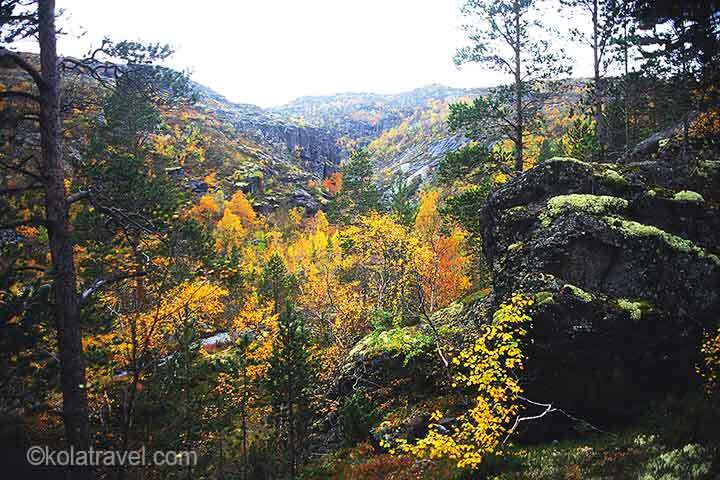 According to legend the Saami battled Swedes here at the end of the 16th century. 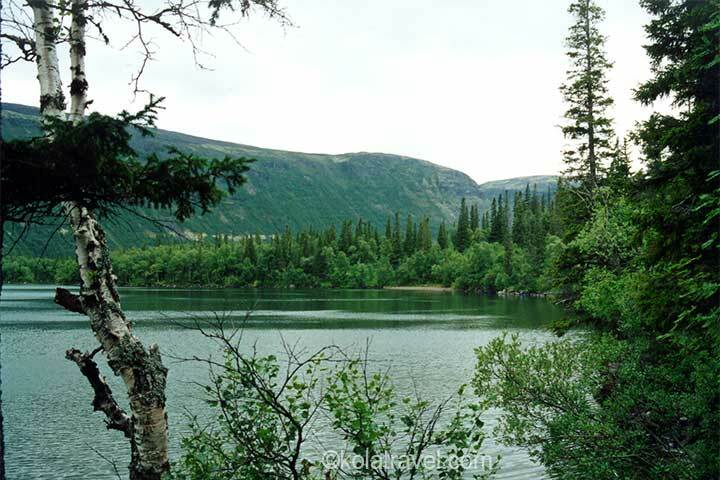 Hike down to the Meridian Stream through a grove of northern birches up to the Chasnaiok River ("Woodpecker River"). Camp. Distance of hike: 10 km. Day 5, Wednesday: Follow the path along the Chasnaiok River to the South Chorgorr Pass. We can watch the steep slopes of the Lidichwumchorr Mountains on which there are fantastic rock outcrops. The South Chorgorr Pass is smooth wide lowering of the crest ( 820 m). At lower elevations there is a stunning rock circle with a jewel-like lake. 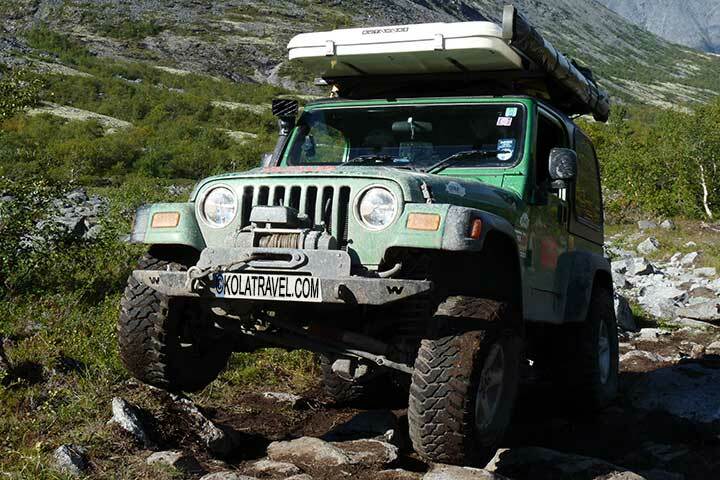 Proceed down through the pass to the Petrelius River and make camp. Distance of hike: 14 km. Day 6, Thursday: This day is for rest. 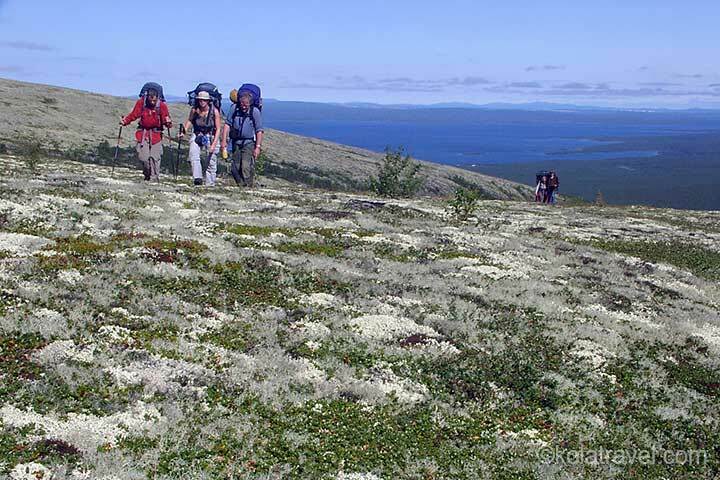 Leave heavy things at the camp and hike to the Northern Rischorr Pass located in the east part of Khibiny tundra or we can look for some samples of rare minerals not far from the camp or just stay in the camp and walk in forest in neighbourhood. Distance of hike depends on your choice: 5 to 12 km. Day 7, Friday: Walk to the Zapadnyi Petrelius Pass through a stone circle with a lake and ascend to the top of the pass. 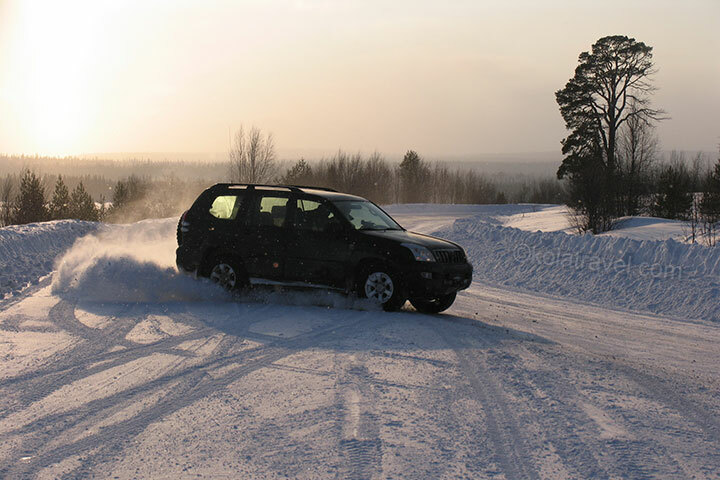 Proceed down to the valley of the Malaya Belaya River and to a stone circle with "moon" craters on its bottom. 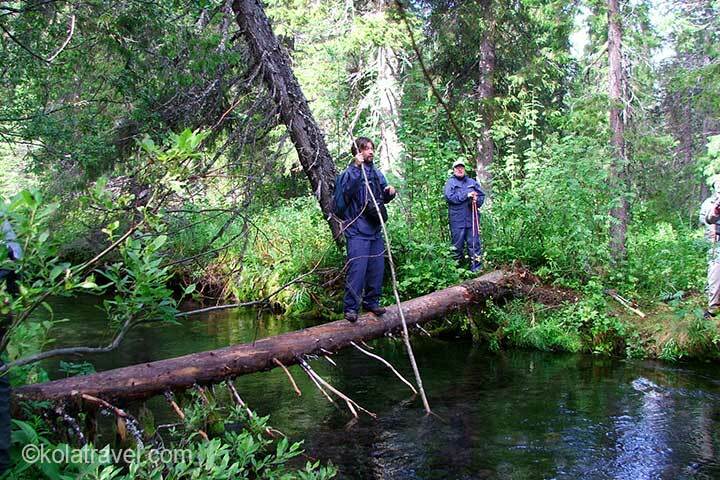 Follow the Malaya Belaya River up to the Ramzai Ravine and make camp. Distance of hike: 14 km. Day 8, Saturday:Walk up on the path to the Ramzai Ravine, a narrow pass squeezed between two rock cliffs. Snow can be kept in the ravine up to the autumn. 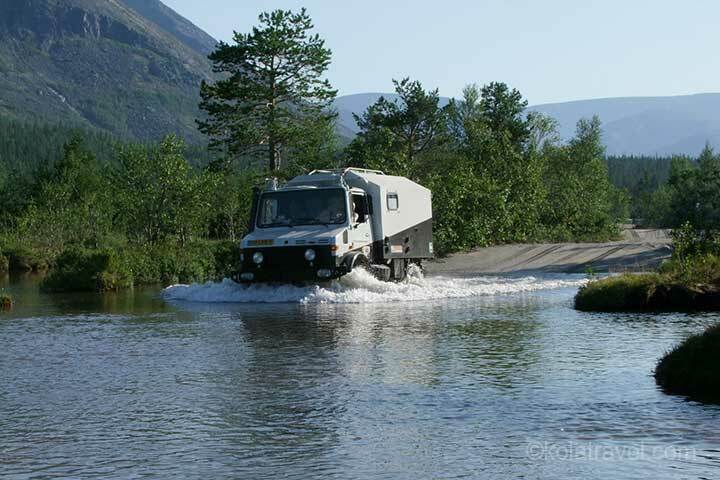 Proceed down along the Pochaiok River ("Reindeer River") to the Malyi Vudyavr Lake where our bus is waiting. Distance of hike: 10 km. Drive to Monchegorsk. Dinner in a restaurant. Overnight at the hotel. Day 9, Sunday: Breakfast at the hotel. Day of rest in Monchegorsk. Dinner on your own in any cosy small restaurant. Overnight at the hotel. Day 10, Monday: Breakfast at the hotel. Transfer by bus to start point. From there hike through the Elmaraiok pass to the Seidyavr Lake (Saint Lake). From a top of the pass proceed down on a path to the shore of the lake and make camp. Distance of hike: 9 km. Day 11, Tuesday: Hike on a path along a northern bank of the Seidyavr Lake along the mountain-mass Kuivchorr up to “Dancing Shaman” on the rock. This "picture" was created by nature, and its length is 150 meters. 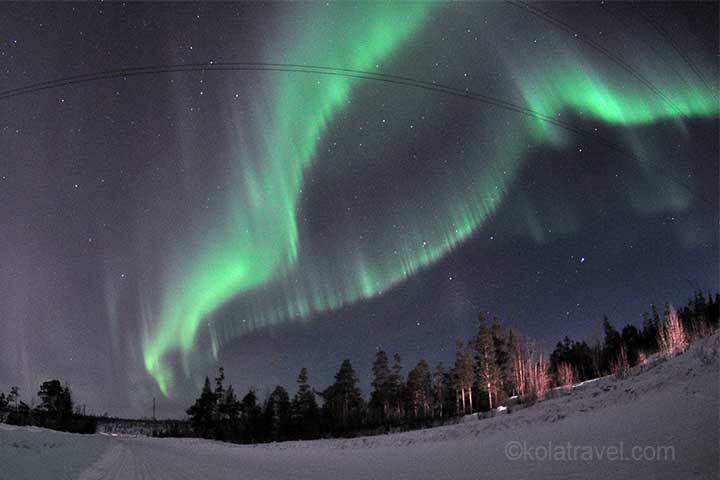 Saami people call it "Kuiva" (idol) and consider the place as magical. Distance of hike: 7 km. Day 12, Wednesday: Hike on a forest path along the lake and then through the forest to the place where bus is waiting for us Transfer to Murmansk. Overnight at the hotel. Day 13, Thursday: Breakfast at the hotel. Departure. Transfer to Murmansk airport. Level: Experiences in hiking in stony areas. Good physical condition and capabilities to carry rucksack (approximately 17 kg). Dates: Every second and fourth week in month June until September. Other weeks on request. Price includes: Accommodation (breakfast included), boat and bus transport, all mentioned excursions, three meals a day during hiking tours, two restaurant dinners, and one restaurant lunch, visa invitation, guide and interpreting services, medical insurance which includes a helicopter evacuation in emergency case.